The thermostat is an indispensable part of your home’s heating and air conditioning systems. If you’re having any issues with the right operation of your heating system or air conditioner, the thermostat is most likely the problem. Do not get disappointed, the thermostat repair professionals at Orange County Plumbing Heating & Air Conditioning will be able to help. 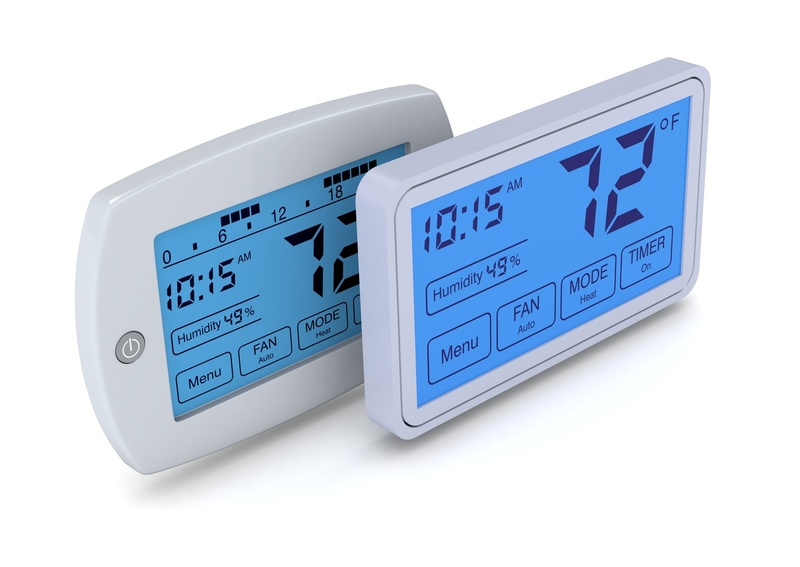 We have vast experience dealing with all known types of thermostats, including programmable thermostats, Wi-Fi-enabled thermostats and many more. One of the most frequent causes of thermostat malfunctioning is improper installation. Make sure to call our highly trained and licensed specialists at Orange County Plumbing Heating & Air Conditioning, if you want to install/replace any kind of thermostat. We can replace your current manual thermostats with new programmable or with Wi–Fi–enabled units, that would reduce energy consumption and increase your comfort. When something goes wrong with your thermostat (the wiring deteriorates, the batteries wear out or your heating/AC system isn’t turning on), thermostat repair pros at Orange County Plumbing Heating & Air Conditioning are at your disposal. We’ll get to your home upon your call, accurately evaluate the problem and fix your thermostats. Usually, issues with your thermostats don’t emerge suddenly – they tend to develop gradually. Schedule regular maintenance visits with the specialists from Orange County Plumbing Heating & Air Conditioning and take care of these small problems early to prevent the need for costly repairs in the future. Give us a call today and find out more about the thermostat services that we provide at Orange County Plumbing Heating & Air Conditioning.